Huntington Beach Harley-Davidson is one of if not the best dealership I have ever been to. 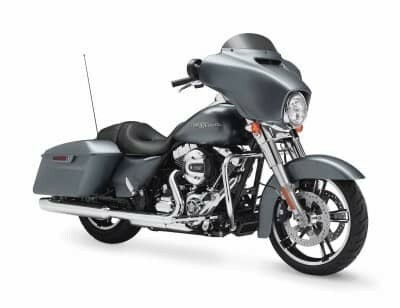 All the staff from sales, financing, parts, clothing and accessories to service, detailing and the Harley Angel's are friendly, courteous, knowledgeable, professional and have made me a part of their family as they have become a part of mine. A special shout out for Sara who has done a wonderful job of promoting events that have not only brought the greater Harley-Davidson family some great memories but have been inclusive of other riders and non-riders. Great products, great service, great times. Exceptional customer service!! The entire team at HB Harley Davidson went above and beyond what I expected, Sarah took the extra step to make my family and I see that she understood what we were looking for, she never gave up on us although we have less than perfect credit!! We still stop by to say hello because they have become part of our family... Plus they have wonderful events for the customers and community. This has been the best experience I have ever had, and Sarah is the reason for it! My wife and I had a great experience here. Everyone we encountered was top notch, very helpful and helped us find the right motorcycle. Christina, Elvis, Eric the manager, Ginger the business manager. Awesome experience, made it fun and we are very excited to have brought home a new bike. We will be back for sure. Traded in old clumsy helmet for $25 and got a new tighter one at a Righteous price.